PRISBELØNNET! Originalside af Claude Auclair fra "Simon" album 5, side 14. Original art, Claude Auclair. Page 14 from "Simon Du Fleuve". 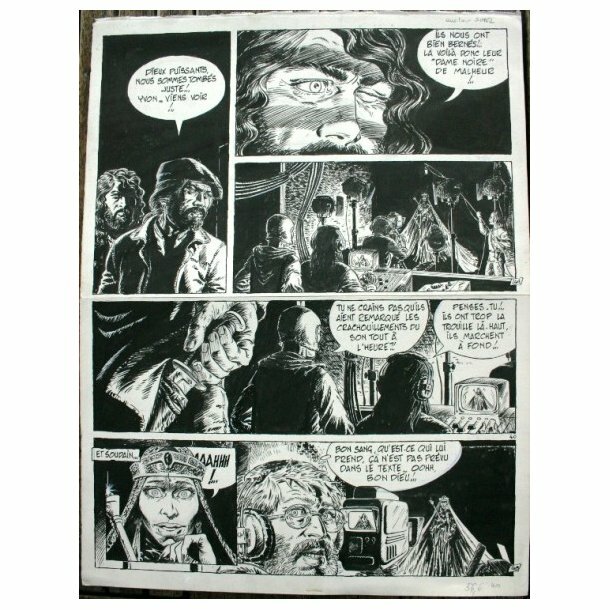 Artwork from the fifth "Simon du Fleuve" story, titled "Les pélérins" (The Pilgrims), and first publishe in the Belgian and French editions of "Journal Tintin" in 1978-79. He was awarded a St Michel prize for this album (his second one), if my memory serves me well.